Managing fields and facilities properly will go a long way to ensuring a safe and fun experience for our players. Avoid on-deck batters—this poses undue risks to players. Consider putting down a towel between home plate and first base and encouraging players to use it as a target where they can drop their bats as they run to first base. Inspect equipment prior to practices and games, fix items that need repair, remove faulty or damaged items that pose a safety risk. Wear helmets during batting practice and games. Who act as a catcher at any time—including games, practices, and warming up a pitcher at any time—wear catcher’s gear, including helmet, mask with throat guard, long chest protector, shin guards, and protective cup. Prior to practices or games, inspect the field you will be using. If you see problems, take the actions recommended on the Field Maintenance page. If the field is so wet that using it will risk injury to players or damage to the field, move to grassy sections (if they are playable) or cancel the practice or game. ​If you can see lightning at all, clear the field immediately. Do not return to the field until you have not seen any lightning for 30 minutes. Remember that umpires have the final word on stopping or resuming a game due to lightning. Because lower levels typically have no umpire, managers and coaches must be responsible for the safety of players. Many parents park across the service road from the field at Jefferson Village Park. Unfortunately, this service road is next to Route 50, and cars often use it as an illegal high-speed detour around traffic—especially during rush hour, when many FCKLL practices and games occur. A car once struck a player on this road, resulting in a non-fatal accident; we want to make sure no other accidents occur. 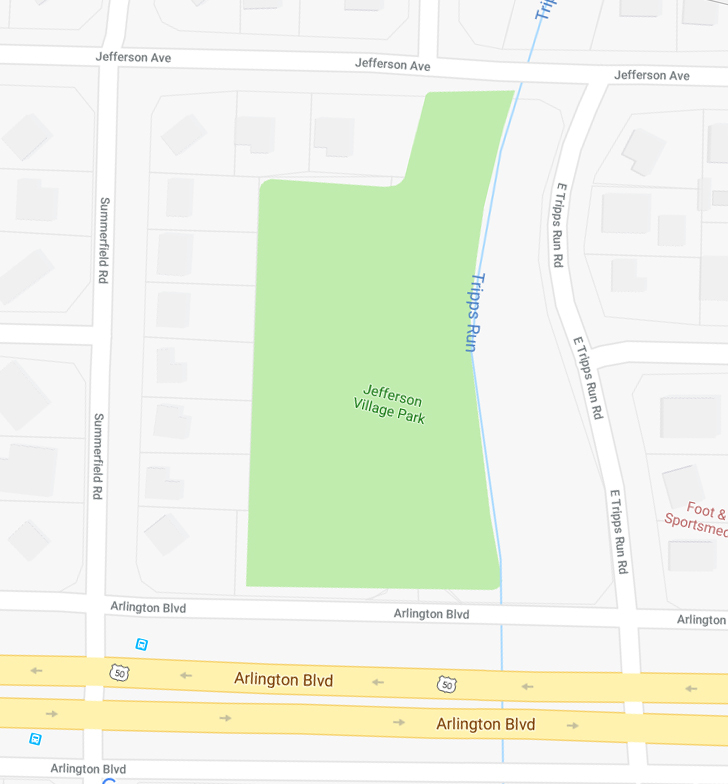 Before games or practices at Jefferson Park Village, instruct parents to park on Jefferson Avenue so they don’t have to cross the service road. Some parents may still try crossing the service road, so get to the field early and put out the orange traffic marker cones near the storage shed to alert cars to slow down.